With Mean Streets showing in the Directors’ Fortnight strand 44 years after it made an international splash playing in the same section of the Cannes Film Festival in 1974, Martin Scorsese graced the stage for a post-screening Q&A. His rat-a-tat delivery was lent a staccato quality by the interpreter’s need to jump in mid-sentence for the benefit of French audience members. No matter: motormouth Marty still managed to whizz through the key events in his formative years that triggered his rough-hewn, energetic tale of hustling hoodlums in Little Italy, and to discuss the key themes of spirit vs flesh, good vs evil, business vs family. 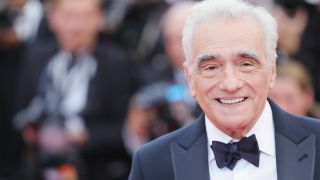 From there Scorsese accelerated into discussing other notable pictures in his exceptional career, and even touched, albeit all too briefly, upon his long-gestating $100m gangster epic The Irishman, starring old chums Robert De Niro, Joe Pesci, and Harvey Keitel, and some untested whippersnapper named Al Pacino. With filming concluded, it is due to drop on Netflix in 2019. Mean Streets, in 1974, was your first visit to Cannes. How did it compare to your subsequent visits? Cannes was the international platform for Mean Streets, a film I didn’t think would even get distributed. My visit was almost the best time, in terms of anonymity. And trying very hard to change that! I was able to go from table to table on the Croisette and meet actors, directors, and so many others. It was still a period of discovery, not just for new filmmakers but older, neglected filmmakers. Did you see these people in your own house, in your own neighbourhood? I saw my father and his responsibility to the family, and to others in power. Responsibility and obligation. Where does obligation end, if it should, at all? A lot of the film is what I was living at the time but it really took me years to understand that it’s really about my father and his youngest brother; until the day they died – and his younger brother died only a few months after him – my father was still doing [him] favours, and my mother was saying, “Don’t do it, don’t do it.” [His younger brother] was always in trouble, always in and out of jail. But I loved him. He was amazing. I was very influenced by one priest who was a good teacher, mentor. Not in class but a street teacher, from when I was 11 to 17. He was the one who made me realise that we have to go for more. Not settle. It’s more this concept of love and compassion. And I had to do it because the alternative was violence and murder. That’s what I saw around me. Ugliness. And some beauty. What he taught us was really remarkable. Yet the ugliness is often packaged within humour, isn’t it? Humour is so important. So much of my life, the comedy was there. Comedy-tragedy. Humour is a seductive way of making people who are psychopaths or sociopaths very funny. It’s the Italian style of entertaining, and liking an audience. I thought After Hours was a comedy. But a nightmare. A very funny nightmare. It was like that film Mother!, in which people keep coming in the house. She tells her husband “Get rid of them!” “No, it’s gonna be fine.” “Fine! They destroy everything, eat the baby. This is madness!” I liked it. I had a dream like that two nights ago. I couldn’t get out. People kept coming in. I was going through a difficult time. Each day I had to face it because I was pouring my own unravelling into Rupert [Pupkin, the crazed wannabe comedian played by De Niro]. I hardly moved the camera on that picture. Maybe once or twice. It was claustrophobic and disturbing. Talking of moving the camera, how much of your aggressive shooting style is pre-planned? Read our verdict on Paul Dano's Wildlife from Cannes Film Festival 2018.